Worldwide, water technology is a fast-growing industry, estimated to contribute $1 trillion a year to the economy. With 3,000 miles of freshwater coastline, it’s no surprise that water serves a dynamic role in Michigan’s economy. In fact, thousands of companies rely on the state’s water supply. The Muskegon County Wastewater Management System is a powerful agent for Michigan’s economic growth and environmental sustainability. Since 1973, the Muskegon County Wastewater Management System (MCWMS) has been a crucial asset to Michigan’s environmental sustainability and economic growth. Currently, with an excess water capacity of 30 million gallons per day, the system enables companies to deposit wastewater in an environmentally-friendly way that minimizes pollution to Lake Michigan. Low wastewater charges and surcharge rates for highstrength wastes also help businesses minimize production costs. The MCWMS is one of many resources that support Michigan’s robust agricultural industry. The system is a strong incentive for companies looking to expand or relocate to Michigan, particularly food processing companies that rely on water for production. Michigan’s freshwater supply is essential to many of the state’s manufacturing and food processing companies. Inevitably, these kinds of activities can lead to millions of gallons of wastewater every day. Without a proper disposal system, not only can wastewater deplete the state’s resources, but it also can have significant environmental consequences. In the 1960s, some wastewater from various industries was deposited into the Great Lakes. As a result, pollution made the lakes unsafe, causing local companies to leave and deterring other business from relocating to the region. To combat the negative environmental and economic impacts of poor wastewater disposal, Muskegon County began plans for its wastewater management system with the goal of treating up to 42 million gallons of wastewater per day. The forward-looking solution has been operational since 1973 and now stands as a significant community asset in supporting economic development. Today, the MCWMS continues to be a powerful economic engine for the state, while keeping Lake Michigan pollution-free. The innovative system collects and purifies wastewater from farms and companies, and then uses the purified water to irrigate 5,100 acres of crop land. This holistic, sustainable cycle keeps Michigan’s freshwater supply plentiful and unpolluted. It also preserves the beauty of the Great Lakes, which attracts thousands of tourists every year. Michigan tourism has an economic impact of $22 billion. Michigan’s thriving agribusiness industry contributes more than $100 billion to the state’s economy each year and accounts for about 22 percent of the state’s employment. With more than 52,194 farms and 2,100 licensed food processors, these companies make up one of Michigan’s defining industries. The state’s freshwater supply and geographic location create an ideal environment for a vast range of farmlands and growing conditions, attracting companies like Kellogg’s, Yoplait, Butterball Farms, Coles Foods, and Country Fresh. Overall, Michigan has the second-most diverse agricultural industry in the country and leads the nation in the production of 20 different commodities, ranging from blueberries to cucumbers to cherries. This diversity enables the production of more than 300 agriculture commodities each year, also bringing in millions of dollars in exports for the state’s economy. The MCWMS has expanded Michigan’s rich agribusiness industry and helped West Michigan become a national powerhouse in food processing. The region is dense with prime fruit and vegetable growers, dairies, crop farmers, and other agricultural suppliers. Companies thriving in Muskegon County and the surrounding counties include Gerber Baby Products, Continental Dairy Facilities (which exports nonfat dry milk to more than 14 countries around the world), commercial bakeries like Cole’s and R.W. Bakers, meat processor Hazekamp’s Premier Foods, La Colombe coffee roasters, Peterson Farms and Swanson Pickle Company, among many others. Michigan’s efficient supply chain and logistics system also provides cost-effective distribution to the Midwest, the country and the globe, enabling the state’s food processors to ship their products worldwide. A deep-water port in Muskegon Lake, through a connecting channel to Lake Michigan, offers the potential for cross-lake shipping from Muskegon to Milwaukee that can shave two to three days off shipments to the West Coast and Asia. Across the state, agribusiness companies continue to expand. Just this year, Wisconsin dairy processor Foremost Farms announced plans to build a $57.9 million processing plant in Greenville. It will be a 55,000-square-foot plant and employ 33 workers to condense 3.2 million pounds of raw milk per day—roughly 386,000 gallons. Agribusiness and food processing aren’t the only industries that benefit from Michigan’s lakes and waterways. In fact, one in five Michigan jobs are water-based, making water crucial to the state’s economy and the growth of many of its industries. Advanced manufacturing, for example, requires water for processes like product fabrication, washing and sanitation. The state’s water supply is critical for Michigan’s manufacturing industry, one of the most robust in the country. Michigan is a global capital for automotive manufacturing and ranks second in the country for aerospace manufacturing attractiveness thanks to a strong talent pipeline, manufacturing-friendly tax laws, and vast community of more than 600 aerospace-related companies. Global water research and innovation projects are also taking place in Michigan. Fueling the education and research of Michigan’s Great Lakes is the Robert B. Annis Water Resources Institute. The institute offers undergraduate and graduate students the opportunity to study resource management and water conservation through hands-on research of the Great Lakes. The University of Michigan’s Water Center is also leading national water research and innovation. More than 180 researchers from 55 universities in the U.S. and Canada work on groundbreaking projects at the center. Statewide, Michigan’s University Research Corridor (an alliance between Michigan State University, the University of Michigan and Wayne State University) aims to transform, strengthen and diversify the state’s economy. One aspect of that includes the “blue economy,” an ongoing economic development strategy based on the preservation, research and health of water resources – embraced strongly in Muskegon. Thanks to Muskegon’s innovative approach to solving its wastewater crisis, Michigan is a prime example of how economic growth does not have to mean environmental compromise. Today, Michigan continues to be an industry leader in both agribusiness and water technology, ensuring the economic and environmental future of the Great Lakes and beyond. 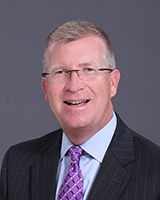 As CEO, Jeff Mason is charged with implementing and executing the Michigan Economic Development Corporation’s (MEDC) core mission of business development and attraction, community development, providing access to capital and improving Michigan’s image and brand. Before becoming Chief Business Development Officer, Mason headed up the Technology Development Group working to grow Michigan’s technology-oriented segments of the state’s economy. Technology Development was engaged in the areas of technology transfer and commercialization, venture capital, entrepreneurship, and business development. Their focus was in the sectors of life sciences, homeland security, and advanced automotive technologies.